Electricity is an essential ingredient of our lives and has vast social implications to all nations. It is perhaps among the greatest and most important developments of the 20th century that continues to touch our lives daily. The economic and social developments of nations have been intrinsically coupled to electricity use. The lack of electricity, or insufficient electricity, is a concern of virtually all governments. Electricity is in fact one of the prime measures of a nation’s wealth and it defines the quality of life. Electricity generation does come with a cost to the environment and there are long term impacts to the health and safety of communities. Electrical injuries rank as the fifth most common cause of occupational fatalities. The best way for anyone who works with electrical systems to prevent injury to themselves or others, as well as damage to property, is to practice proven electrical safety methods. Electrical safety programs in the workplace not only decrease the incidence of injury, but also protect companies and their employees from the financial ramifications of a work-related accident. In the case of the electrical industry, safety is critical and the codes and regulations that determine safe practices are both diverse and complicated. Employers, electricians, electrical system designers, inspectors, engineers, and architects must all comply with safety standards listed in the National Electrical Code, OSHA and NFPA 70E. 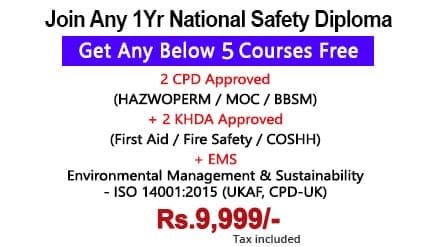 Are there any Seminars for Diploma in Electrical Safety Course?